Build customised landing pages to interact with current customers and drive new leads. With our integrated builder, create your collaterals once, and have them automatically optimise for each device. 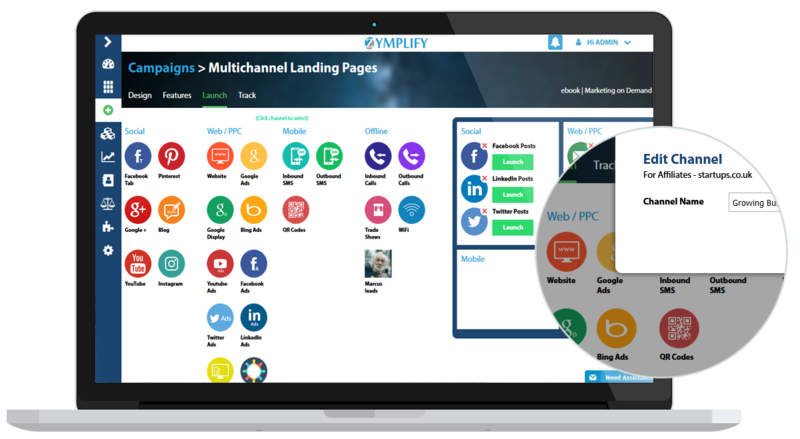 The Zymplify builder, is built ""mobile first"". All of your collaterals are responsive and will automatically fit the device your campaign is showing on. We give you the ability to customise your landing pages for mobile and tablet devices - hiding and displaying certain sections based on the device the user is on. Want to see what content, layout and call-to-action is working best for your business? 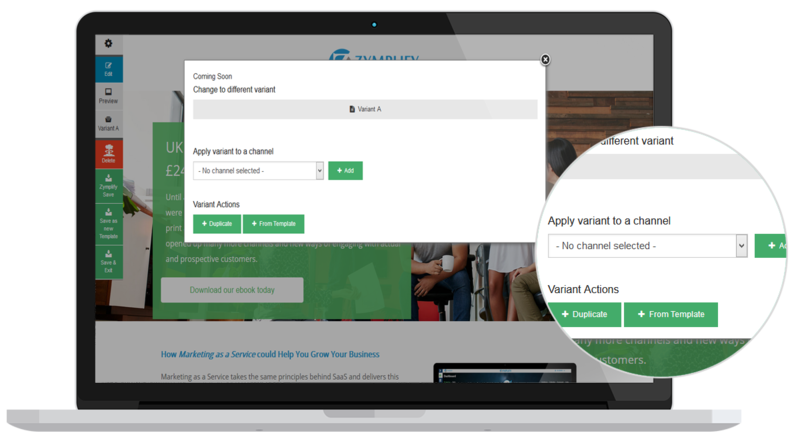 With our A/B Variants, you can create multiple versions of your landing pages, and see which gets your customers engaging with you better. This gives you the chance to make smarter decision when designing your future marketing campaigns to help drive more leads and sales for your business. With automatic features built into each campaign, you can customise what happens after someone engages with you. 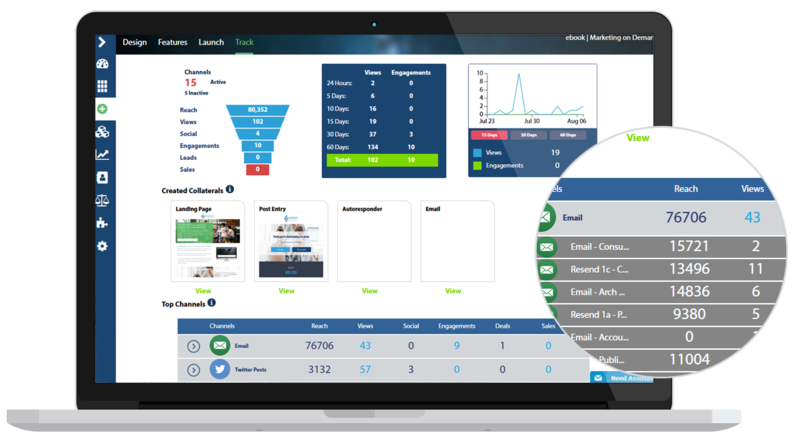 Add your engagements to specific tailored mailing lists, generate automatic notifications to be notified in real-time of new engagements. You have the ability to insert/ add your re-marketing pixels onto your campaigns. This will continuously grow your customised audiences based on the people who have shown an interest in your product/ service. 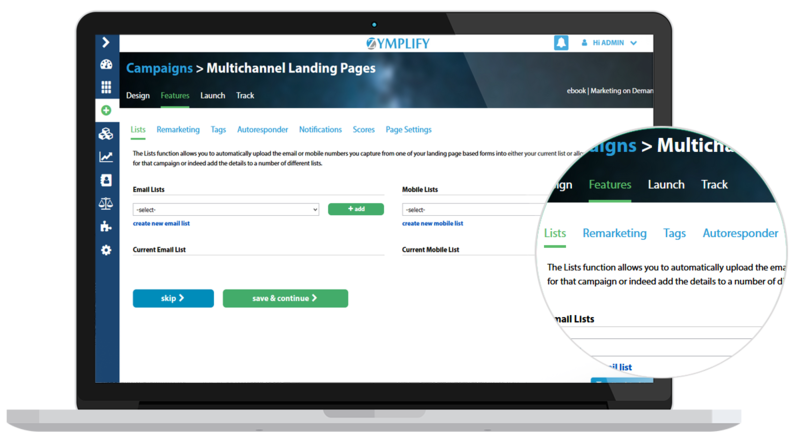 With 26 publishing channels to choose from (plus any of your own personalised channels), you can launch your campaign to reach all of your audiences from various touch-points. Everything from Facebook Social Posts, Email, to Google Ads, etc, you have the ability to reach current and new potential audiences. We bring all your analytics into one place allowing you to track how your campaign is performing across multiple channels. Get an overview of which channel is working best for you and which channel is driving your engagements and sales. You have the ability to work out the ROI for each campaign as well as the ROI for each individual publishing channel you have used.